Cross stitch done by me, pattern from slip cover your life. I am a home body. I always have been. Ever since I was a girl, I would always prefer to stay home and have a night to myself then go hang out with friends. Now in college I went out all the time and partied like the best of them, but it seems that as soon as college ended and I moved in with my mister my desire to go out died away again. As I was home this weekend...doing absolutely nothing. It hit me that I really do enjoy to be by myself and sometimes I have no desire to go out and go to the park, hit up a thrift store, get lunch with a friend, or go on an adventure. Sometimes I just want to sit with my life and enjoy what I am and where I am at that moment. I suppose you could call me a hermit or whatever else you want to, but if you ask me the best place in the world to be is home. Couldn't have said it better Maddy. That's exactly how I feel. 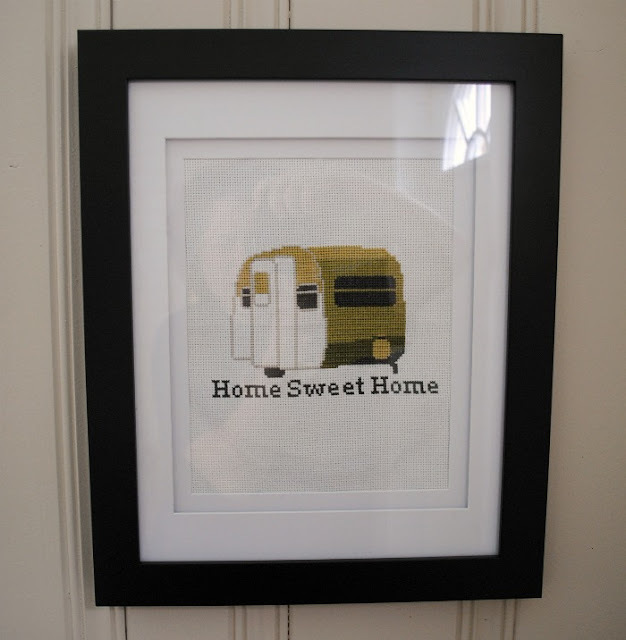 I love this cross stitch. and the colors you used.